The following passage is taken from Scholastic.com Teacher's website. Scheduled to coincide with the 100th anniversary of the tragic sinking of the Titanic, a topic that continues to haunt and thrill readers to this day, this book by critically acclaimed author Deborah Hopkinson weaves together the voices and stories of real Titanic survivors and witnesses to the disaster — from the stewardess Violet Jessop to Captain Arthur Rostron of the Carpathia, who came to the rescue of the sinking ship. Packed with heart-stopping action, devastating drama, fascinating historical details, loads of archival photographs on almost every page, and quotes from primary sources, this gripping story is sure to thrill and move readers. Teachers, playing this while reading the novel aloud results in a very mesmerizing multimedia experience! 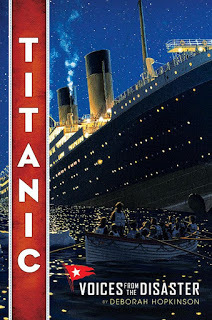 The history of the Titanic is as fascinating as it is haunting, and author Deborah Hopkinson offers a wealth of further reading suggestions, including audio files of passengers, testimonies, and other online resources on her website. 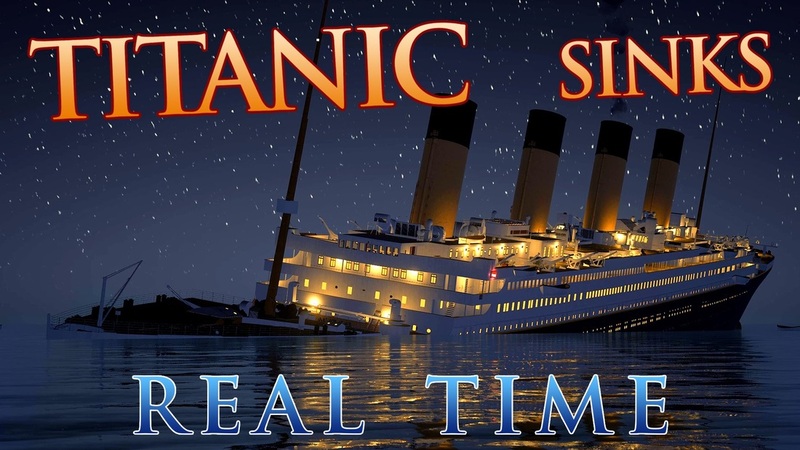 How much have you learned about the sinking of the Titanic? Ready to show what you know and remember?